Less than half way into the year and a number of 2013 coins have already been making the headlines – in some cases, selling out extremely quickly. Here’s my list of top 5 sell-out coins for the year so far. 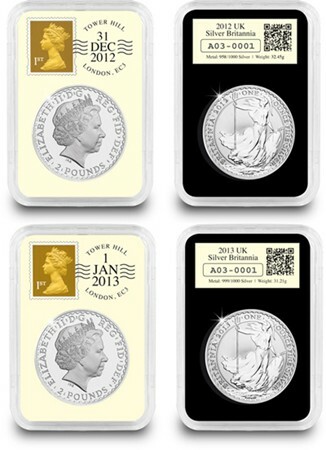 With the new year came a new Britannia struck, for the first time ever, in 999/1000 Silver up from 958/1000 – bringing Britannia in line with coins like the US Eagle and Canada’s Maple Leaf and securing her position as Britain’s purest silver coin. Featuring one of the last ‘958’ coins and one of first ever ‘999’ versions, all 495 Britannia ‘DateStamp’ Silver Sets were snapped up by collectors in just 15 days. Other ‘DateStamp’ products are still available to buy here . In January, The Royal Canadian Mint announced all 600 of its 2013 Gold Maple Leaf Premium Sets had sold out. This year’s set was all the more sought-after as it featured the 1 oz Gold coin in high relief – only the second ever struck by Canada. Considering the demand for the rare high relief Gold coin and the rapid sell-out of the 2011 and 2012 versions and it’s no wonder the 2013 set sold out in weeks. Continuing the trend of the previous six coins, the $20 Silver Ice Hockey Coin became the latest sell-out in the Royal Canadian Mint’s $20 silver coin series – now the fastest-selling silver coin series in the world – with all 250,000 pieces now officially sold out. Every single coin in this series has sold out incredibly quickly – but none more so than the Polar Bear whose record 25 days beat even the Diamond Jubilee coin. Few doubt the next one, the Wolf, will sell out quickly but can it beat the Polar Bear? This has now sold out. This beautiful Gold £5 Coin was issued exclusively by The Westminster Collection with a tiny worldwide edition limit of just 95 pieces. 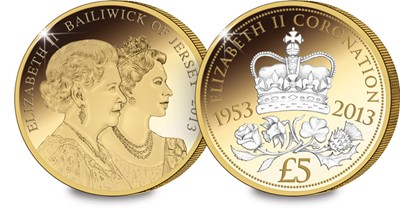 The significance of the occasion, the coin’s 22 Carat Gold content and the beauty of its designs proved popular with royalty collectors looking to mark this year’s 60th anniversary of the Queen’s Coronation – and investors keen to add this piece to their portfolios. In March, I reported that an original Holey Dollar and Dump dating back to 1813 had sold for AUS$495,000. An intriguing coin with a fascinating story, 2013 saw The Perth Mint issue their own 200th anniversary tribute to the Holey Dollar. 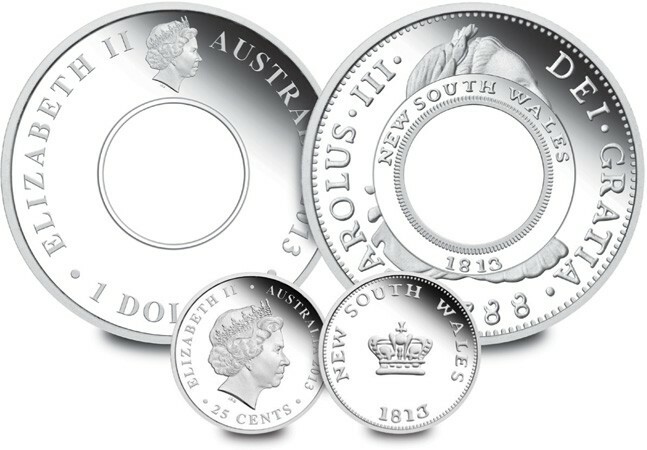 All 4000 sets of 2013 1oz Silver Holey Dollar and Dump sold out not long afterwards.